Selangor's history dates back to as early as the 1600s when tin deposit were found in several areas in the state, thus attracting an influx of miners, immingrants and colonists in search of "new lands". The small village of Kampung Permatang in Kuala Selangor was the spot where the Bugis first landed and established the Selangor Sultanate in early 17th century. By the middle of the 18th century, the Bugis dominated the state economically and politically. The late 18th century was marked by wars among the Bugis, Malay and Chinese tin barons over the monopoly of mining areas and the power play of the faction groups. To control the situation, the sultan was forced to accept the appointment af a British Resident in 1874 and indirectly, giving the British a foothold in the state,s administration . After a few years of unrest, the year 1896 saw Selangor joined the federated Malay States under the control of the British administration. 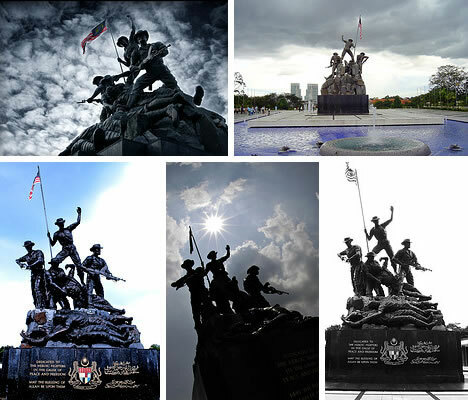 In 1957 Selangor became one of the states of the Federation of Malaya which later changed the name to Malaysia. Today Selangor is Malaysia's richest and most developed state. It is home to the largest port in the country, Port Klang, and to many of the country's largest industrial operations, found particularly in the Klang Valley. Its highly diversified economy ranges from agriculture, industry, and commerce to tourism. While industry is rapidly expanding, the mainstays of the state's economy remain rubber, palm-oil, and tin mining. 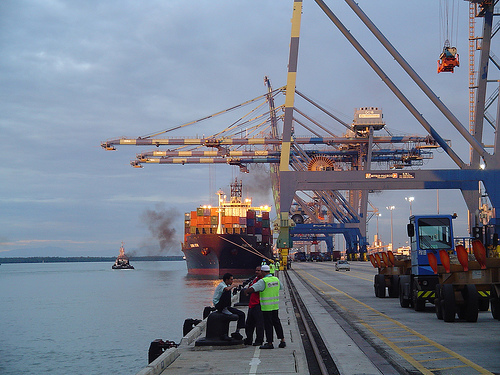 Port Klang, already the largest port in the country, is experiencing vigorous development. Tourism is also beginning to have a major impact on the economy. Selangor completely surrounds the Federal Territory of Wilayah Persekutuan, and there are many close economic and social ties between them. Located on the west coast of peninsular Malaysia and covering 8,000 square kilometers, Selangor is bounded on the north by Perak, on the east by Pahang and Negeri Sembilan, and on the west by the Straits of Malacca.Selangor's climate is characterized by a warm, sunny days, and cool nights all year round and occasional rain in the evenings. Temperature ranges from 23°C to 33°C. Humidity usually exceeds 80%. Annual rainfall is 2,670 mm. Although rain falls throughout the year, December to February are said to be the wettest months. 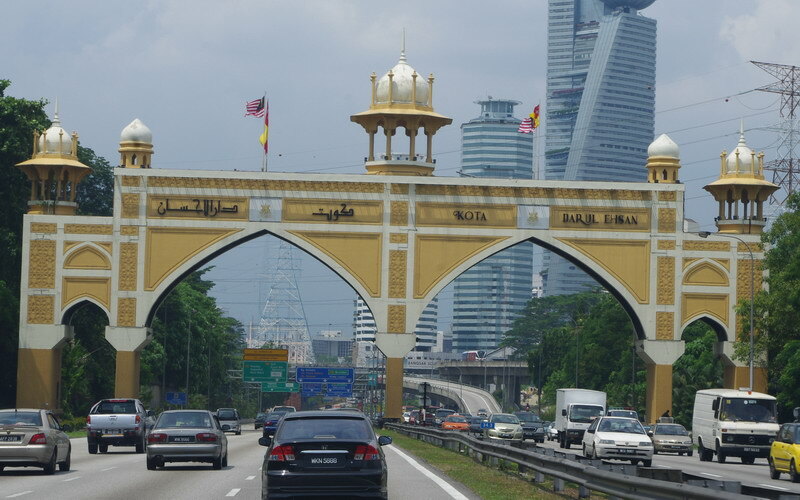 Selangor has been called the gateway of Malaysia. It is also the industrial hub of Malaysia; the country's largest industrial site is located in Shah Alam, the states capital, just 25 kilometers from Kuala Lumpur. It is the most populous state in the country with a total population of 2.7 million inhabitants. Despite being industry-based, the state is blessed with natural forests, waterfalls, hills, and lakes to complement its many man-made attractions. One of the best thing that Selangor has to offer the visitor is her wide range of food, and Selangor's restaurants and hawker stalls are the best and most varied; a reflection of multi-ethnic synergy. 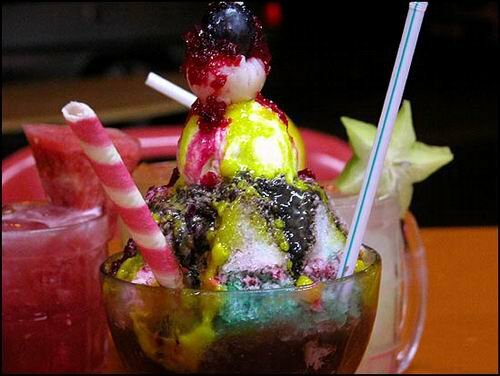 The distinctively spicy Malay food, such as nasi lemak, rendang, curry and the many palm sugar and coconut-based desserts such as cendol, shaved ice (ABC) delight to even the most jaded palate. 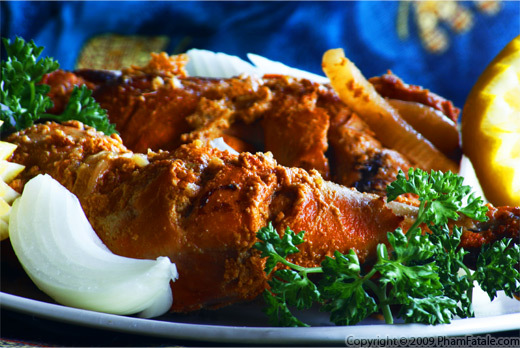 These delicacies can be savoured at the Rasa Utara Restaurant, Subang Jaya and the Hartine Restaurant, Shah Alam. 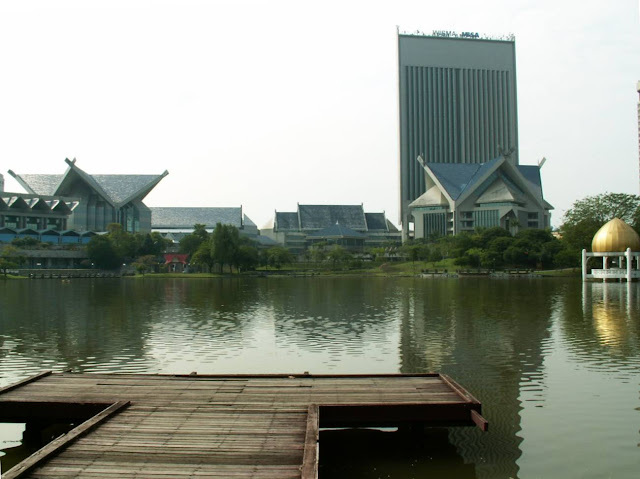 For a popourri of Malaysian cuisine, try the Lakeview Floating Restaurant, Shah Alam, and the Food Court Centre at Subang Parade, Subang Jaya. Visitors will be feasted by the endless variety of Chinese dishes, stir-fried noodle, dim sum and roost duck at the Foong Chek Yuen Restaurant, Klang, Hong Kong Kitchen Restaurant, Petaling Jaya and the Eden Restaurant, Subang Airport. For Indian cuisine, it ranges from northern Indian to southern Indian, and from fully vegetarian to fish curries and chicken tandoori. Visitors can try a luscious Indian cuisine at the Devi Restaurant at Subang Jaya or the Shiraz Restaurant, Taman Megah, Petaling Jaya. The town of Kajang in Selangor is famous for its delicious satay, regarded as one of the best in the country. The sticks are packed with succulent meat, either beef or chicken, and barbequed over charcoal to give it that special flavor. The newly Satay Complex, located strategically in the Kajang town center, offers variety of delicious satay. 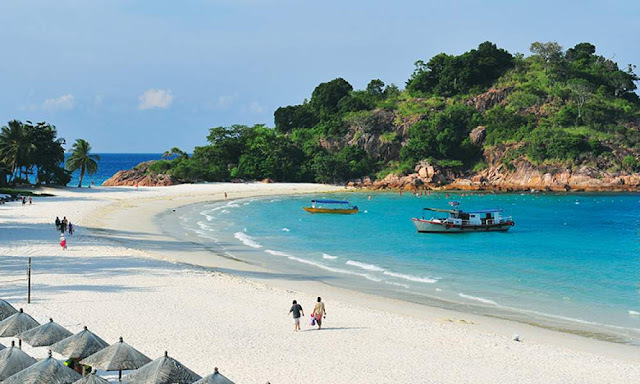 Malaysia has been cited in various surveys as a value-for-money holiday and shopping destination. 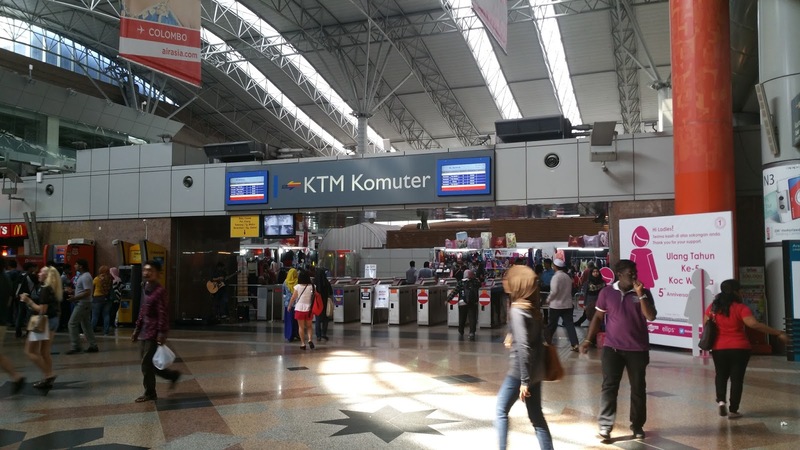 Selangor, in particular, is fast gaining recognition as a shopper's paradise due to the number of shopping malls that have mushroomed all over the state, especially the Klang Valley. These malls are ‘one-stop-centres’ that offer such a wide range of quality products under one roof that consumers are spoilt for choice. Add to that friendly service and a competitive exchange rate, and visitors have the making of a super-shopping destination. 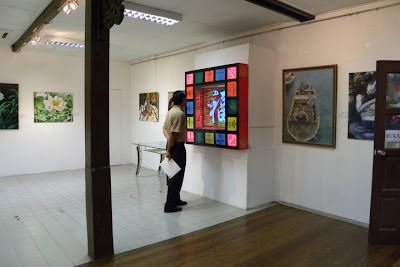 Selangor is definitely the place of all kinds of everything for all kinds of people. Night markets or 'pasar malam' are a special feature of local life. Designated areas are used for these night markets on fixed nights of each week. Bargaining is the standard feature, and the smart shoppers can buy practically everything imaginable. The Sultan Salahuddin Abdul Aziz Shah Mosque is one of the most beautiful building in the country. Frequently referred to as the "Blue Mosque" its minarets are the tallest in the world at 142.3 metres. Its graceful blue dome is one of the largest of its kind. Decorative Islamic calligraphy enhances the dome and main prayer hall, while the overall architecture integrates ethnic Malay design elements. 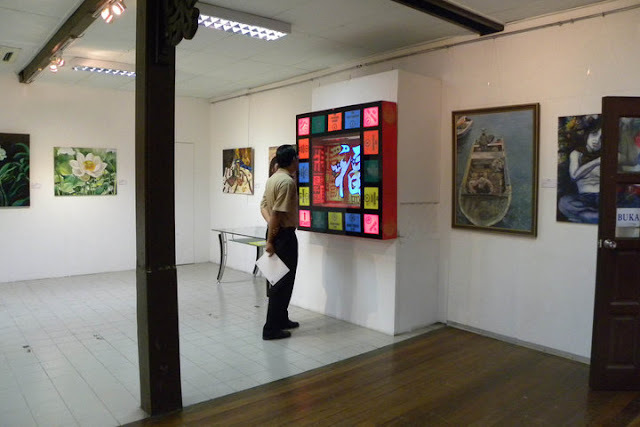 Situated at the Shah Alam Lake Gardens, the Shah Alam Gallery exhibits a wide collection of art, local handicraft and fabrics for viewing and sale. Located adjacent to the State Secretariat Building is the serene and lovely State Monument with a sweeping arch, reflecting pools and gold inscriptions on grey granite . it is a favourite location for shutterbugs and tourist because of its picturesque setting. 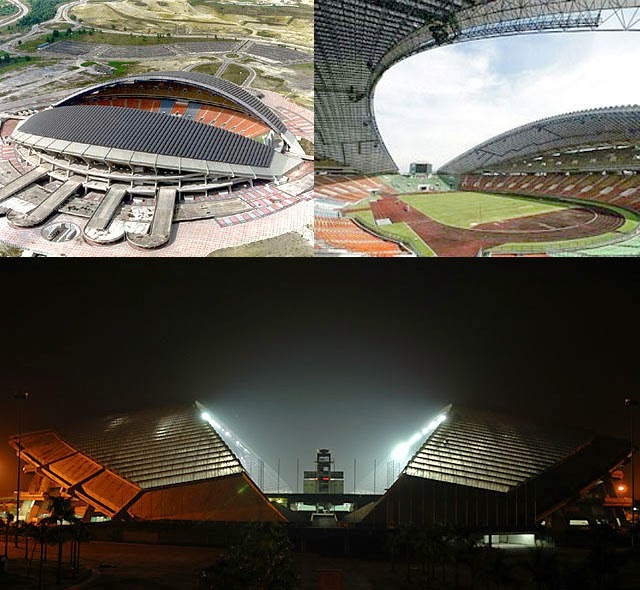 Awarded the 1996 Best Sport Alam Sport Complex features one of the largest and most dynamic sports and entertaiment complex in south East Asia. State of the art facilities and a professional management team ensures that all event held here will be successful. 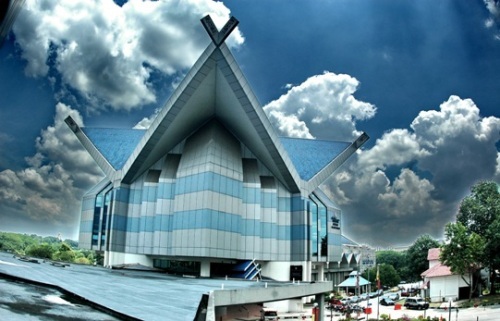 SASC comprises the 70,000 seats Shah Alam stadium,an adjacent warm-up track and training field , a 12,000 capacity air-conditional indoor stadium, and an Olypic standard swimming and diving centre. Situated at km 24, Jalan Gombak, visitors can have an insightful glimpse into the lifestyle and culture of Selangor's "Original People" or orang asli, that is fast disappearing with development and modernisation. 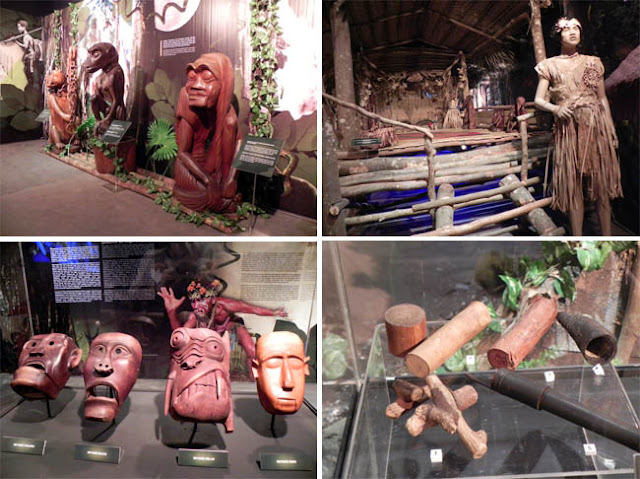 It has a vast collection of tribal heritage such as blowpipes, spears, porcelain and ancestral figurines. 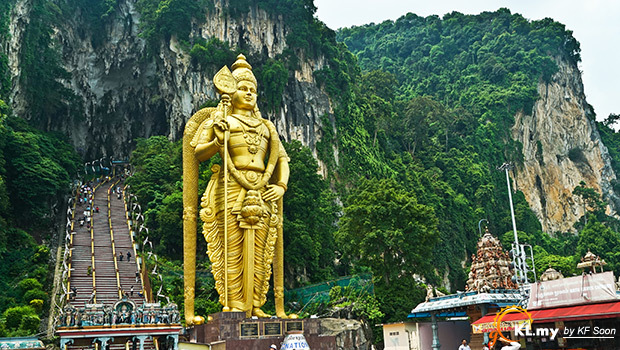 Located 15 km north of Kuala Lumpur Batu Caves is the most popular tourist destination in Selangor. It consists of the three big caves and the main temple cave, which features ornate. Hindu shrines and has a ceiling loomin over 100 metres overhead. To reach it one has to climb s steep flight of 272 steps, a feat performed by as many as 100,000 devotees during the annual Thaipusam festival. The National Zoo in Hulu Klang has a fascinating animal collection from all over the world, as well as an impressive aquarium and aviary. 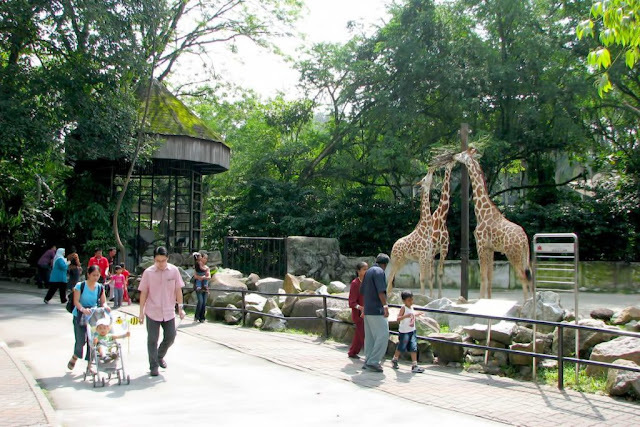 It is considered one of the most interesting zoos in South East Asia, with large grounds for picnic, enormous lake for 'swan boating' and train rides around the zoo. Located just off the mainland. Carey Island is located to the south of Port Klang and north of Banting town. It is a huge island separated from the Selangor coast by the Langat River, connected by a bridge from Chondoi and Teluk Panglima Garang near Banting. It was named after Valentine Carey, a former British civil service officer in Malaya. 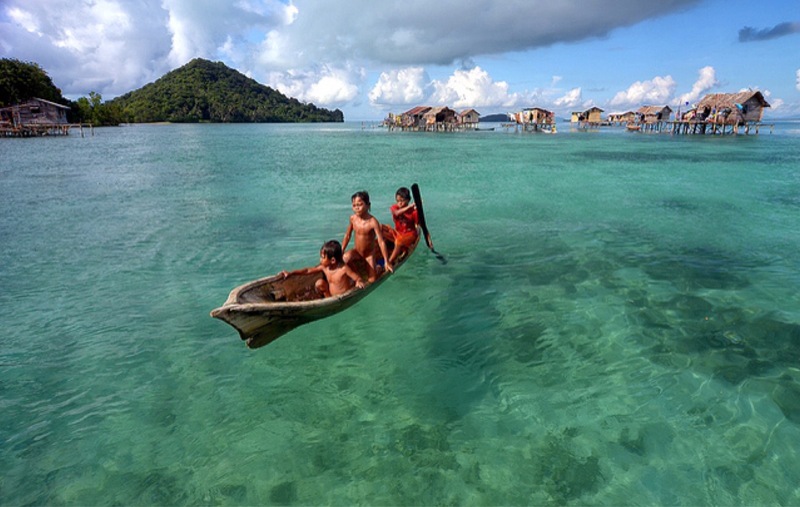 Despite its name, many locals from Klang do not consider it a real island compared to Pulau Ketam due to its proximity to the mainland and the river that separates it from the mainland is practically a stream,Carey Island is well-known for the orang asli community known as the Mah Meri. They have assimilated into life with jobs in the nearby plantations and farms. 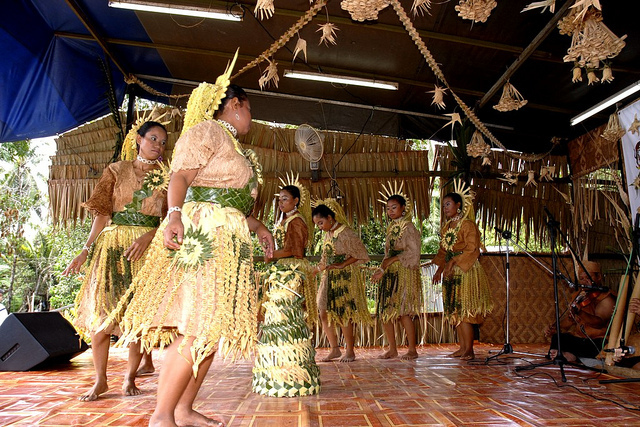 However, they have retained the unique culture and way of life. Apart from exhibitions of the traditional dances and music, Mah Meri are particularly known for their votive sculptures, fashioned from a kind of a swamp hardwood called "nyirih batu". Once the seat of ancient kings, the placid town of Jugra has several fascinating historic buildings. The intriguing Istana Bandar ( Bandar Palace), built in 1905, features exquisite woodcarvings by the late Sultan Alauddin, reminiscent of the previous century. The Sultan Alauddin Mosque, next to Istana Bandar, was erected in 1932, but its classical Mosque, next to Istana Bandar, was erected in 1932, but its classical Moorish architecture has given it timeless, mystical look. The Royal Mausoleum, the Jugra Lighthouse and the ruins of the legend shrouded Istana Jugra are also well worth a visit. Bukit Melawati Hill is located at the coastal town of Kuala Selangor in the state of Selangor, Malaysia. 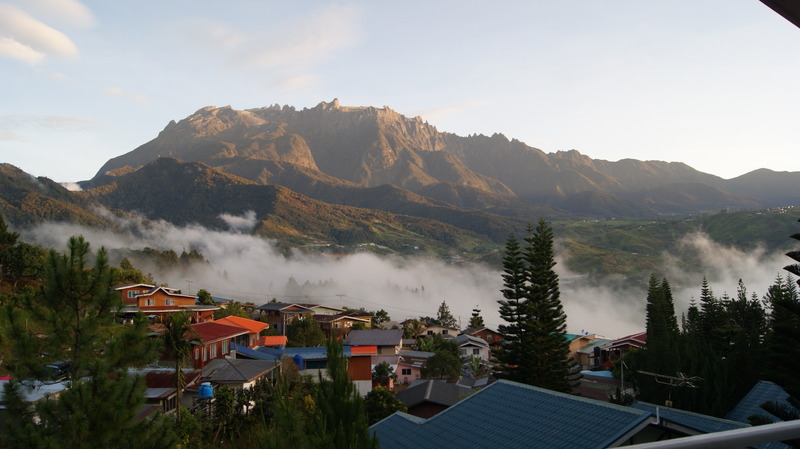 To get here, one can drive from the city of Kuala Lumpur or Petaling Jaya and it takes about 45-60 minutes drive along a scenic route passing local towns, plantations and kampungs (villages). 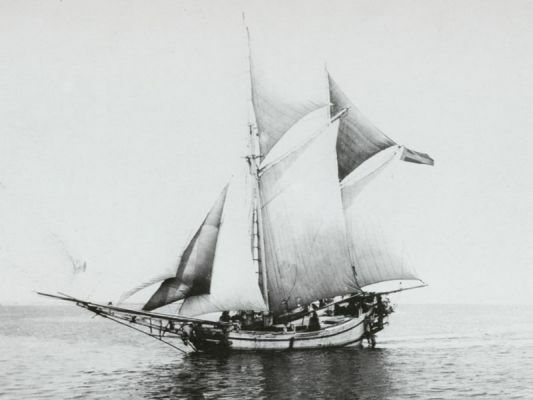 However, it wasn’t long before the Dutch tangled with Ibrahim’s troops again; in less than a year, the Sultan launched a night raid and succeeded in recapturing Melawati Hill while driving the Dutch back to sea. The fort continued to be at the epicenter of many struggles and battles over the years, especially during the Selangor civil war, fought between factions created by rival sultans and Chinese tin miner gangs. When British forces arrived to impose their presence in Selangor, they hammered the fort into little pieces, with the help of massive gunboat Rinaldo. Not much was left of the fort after the merciless pounding and today, all that remains for visitors to see are a few decrepit foundation stones and walls, along with some of the 68 cannons originally used for the fort’s defence. In place of concrete and stone, grass and shrubbery now cover the hill to create a pleasant park-like environment along with cooling rain trees that tower over the landscape. At a corner of the hill, sits a royal mausoleum for the first three Sultans of Selangor. The point where most visitors congregate is the view point in front of the Altingsburg light house, slightly below the peak. 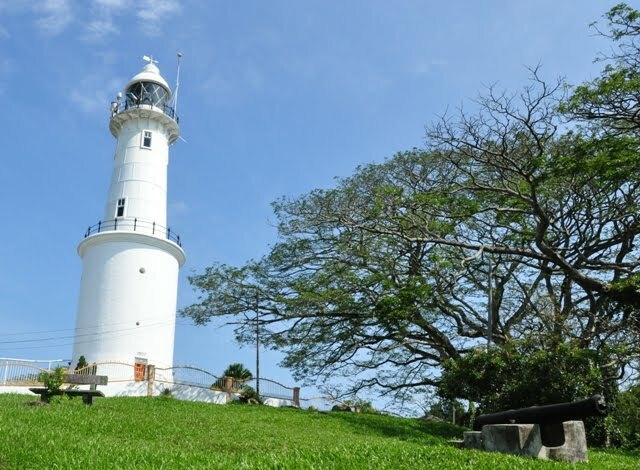 This light house was built in 1907 and continues to guide ships sailing through the Straits of Malacca today. 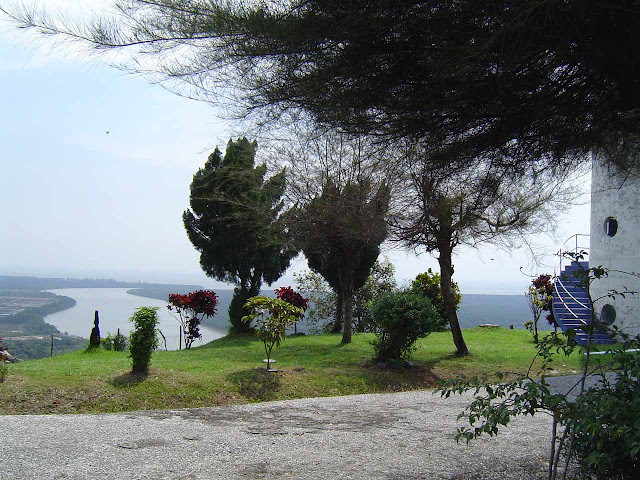 From here, one can look out to the lush greenery and mangroves below and further out, a vista of open sea. Looking closely, you can see where the sea meets with the Selangor River, with tiny ships and boats sailing through. 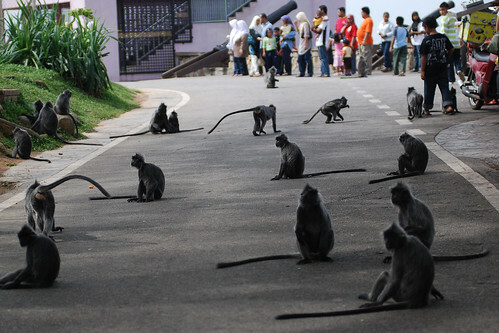 This particular point of the peak is also a famous tourist feeding ground for the resident silver leaf monkeys. Selangor is a golf heaven. It boasts some of the most challenging fairways in the world. Night golfing is ever popular and green fees are relatively inexpensive. Caddies are friendly and affordable. Selangor was a host to the 1999 World Cup Golf Championship at the Mines Resort and Golf Club in November 1999. Km 20, Templer Park Resort. Description: 36 holes, par 72.